Discover when the next Crystal Workshops are being held. Rev. 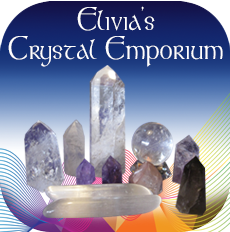 Elivia has worked with crystals as friends and helpers for many years. At this crystal workshop you will learn the everyday Basics for working with Quartz Crystals. This crystal workshop will cover everything you always wanted to know about quartz crystals and more! Learn about crystal formations and properties, clearing crystals, programming crystals and crystal communication so that you can use them with ease, confidence and joy! 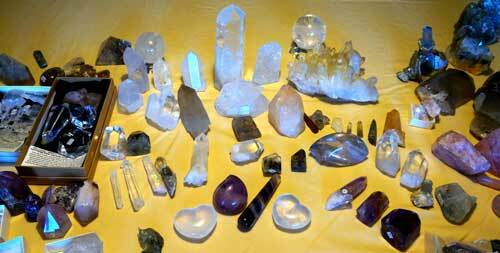 This crystal workshop also includes healing layouts and meditations. Attendees will receive a copy of Elivia’s Crystals 101 handbook. This is a hands-on experiential Crystal workshop on personal healing where you will explore how powerfully our crystal friends can assist to balance and harmonize your human energy body. We will be covering the various stones for each chakras. We’ll learn how to do laying on of stones for personal healing and personal grids. Then, with guided meditations and crystal sound, discover how your energy systems, mental, emotional and physical are impacted. There is nothing more powerful that feeling and knowing when it comes to making friends with these dynamic life helpers! Attendees at these Crystal workshops will each receive a copy of Elivia’s Healing with Crystals handbook. The Crystal Workhops on using crystal grids is very hands on and participatory. So some with comfortable clothing. Discover how powerful sacred geometry is when combined with crystals. Creating crystal grids in particular geometric forms will build energy fields to support your life and desired goals. 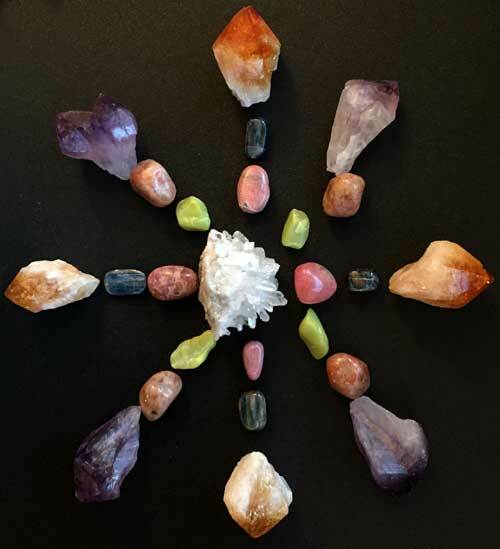 Explore the more common forms of crystal grids and physically experience the differences with the assistance of singing crystal bowl meditations. This class will use intention, meditation, sacred geometry, crystals and healing gem stones to build grids for prosperity, love, and health. Learn to Create and Charge your Crystal Grids for: Any part of your life where you feel there is a scarcity, Financial abundance, Success in your Endeavors, Romantic Love, Self-love, Self-esteem, Loving family environment, Friendship, Health and Release from Karmic Issues. 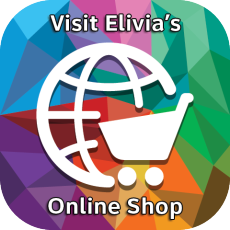 Attendees will receive Elivia’s handbook on Crystal Grids and a set of full color laminated grids to take home. At these Crystal workshops you’ll be using crystals, gems and minerals for Spiritual Development. Discover how to powerfully use crystals and gemstones to open your intuitive centers to see, know, and sense beyond ordinary reality, along with using them to connect with your Angels, Teachers & Guides. In this class students will learn programming crystals, aura clearing, grounding, laying on of stones, crystal grids for spiritual growth, Crystal gazing, & lots more! Attendees will receive Elivia’s handbook on Crystal Activation.